As I forgot to add this URL the last blog I scribbled out whilst dashing to a plane in Hoi An here it is http://blog.travelpod.com/members/3bybike We met this couple and their about ten-year old daughter at our hotel. They left Denmark last June and rode through Europe, Thailand, Cambodia and now Vietnam on their way to Australia then to South America on a year-long trek. I traveled with my two boys back in the 1992s but we took planes and trains from Australia through the States, England, France and Germany. They were 8 and 10 at the time and I was a single parent trying to keep track of us; I should have taken a bike built for three and trekked around with them instead of going the comfortable, but by no means easy, way. After days out in the thicket of humans, and an evening in, after finishing the Book Thief and receiving yet again Shantaram for Christmas – I had read the first hundred pages a year ago and didn’t like it, I will give it another go. But not being in a reading mood I will try and blog. Not sure why I do, I get something like three maybe five hits when I blog so I know I am not writing for anyone else. Nevertheless – to remember, I tell myself – take notes. Christmas Eve, how does a city get so crowded? 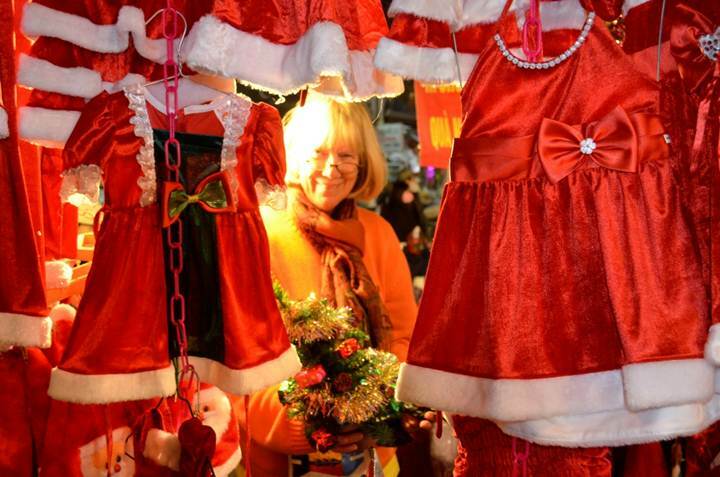 It was not a weekend, and do communists even care about Christmas – wait they do; why give up an opportunity to sell just because of beliefs? 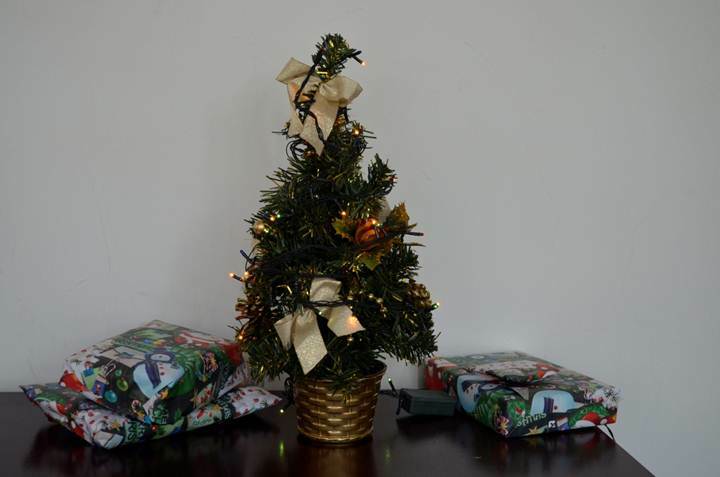 It was a bit of a chore but we did get a little tree with stuff on it for about three US dollars and a string of blinking lights for another buck; 20 dongs which now sits blinking crazily away in our house. Our house is a three stories affair. The first floor is a bit of a garage for us, Brendan parks his motor scooter there when visiting and there is a bit of a bar or coffee area there. It was or sometimes maybe, a café; we don’t know, we are renting it through airbandb (https://www.airbnb.com/) as we have in other cities (Melbourne, and Harlem in NYC). The lounge/living space is on the 2nd floor with a kitchen and the bedroom is on the third floor. We have balconies overlooking Truc Bach Lake and West Lake (Ho Tay). The narrow house is on Nguyen Truong To and easy walking distance to the old section, easy if you are not us. We managed to take over an hour to walk the 20 minute walk getting lost all the way last night, Christmas Eve. Of course with so many people out it took more than an hour to get home. Life is good here; a combination of hustle and fast and slow. On the way back from Brendan’s house this afternoon the taxi driver tried to tell us the 72,000 dong fair was 72,000,000 something like going from $3.50 to $35. When we purchase fruit, mango being our favourite, the price really jumps. This is a cheap place but sellers quickly change prices. Often though the price is like 10,000 dong more, like fifty-cents, and in our world vs. their world to us it is not much but to them…. 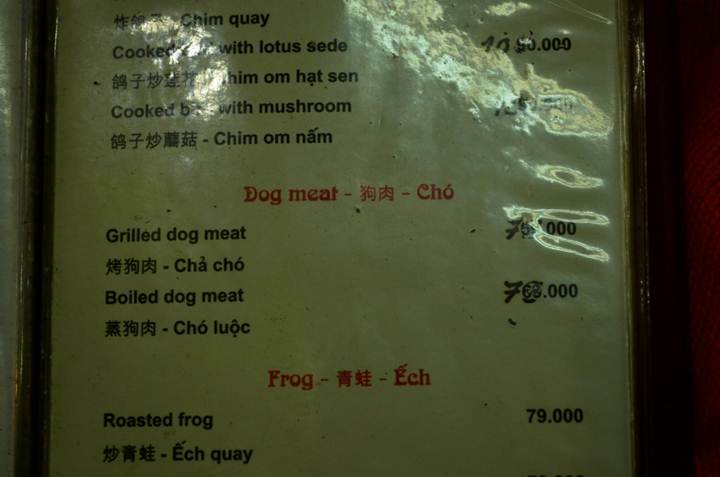 Last night we ate at a local-like place, meaning there were no other westerners in the place and they had a menu with various ways to have your dog prepared. Grilled and boiled were the most popular. I like dogs but I cannot imagine eating one. But I don’t eat any animals and it is for the same reason, I like animals and I am not going to eat something smarter than me. It all started out for religious/spiritual/metaphysical reasons back in the 1960s but even then I think I thought eating an animal was a bit barbaric without the other reasons. I have never come at it since. I believe I have gotten rid of every fiber of religious/spiritual/metaphysical bits out of me so not eating meat is not based on beliefs as I basically don’t have any; though of course every thought is a belief of some sort. I suppose just the image of killing an animal to eat it is too gross for me to contemplate eating one. (perhaps this is why no one reads my blogs, I am too opinionated – of course no one reading my blogs does not prove this because if no one reads my blog then no one would know I may be too opinionated. I shot this photo on the way to the shop this afternoon. 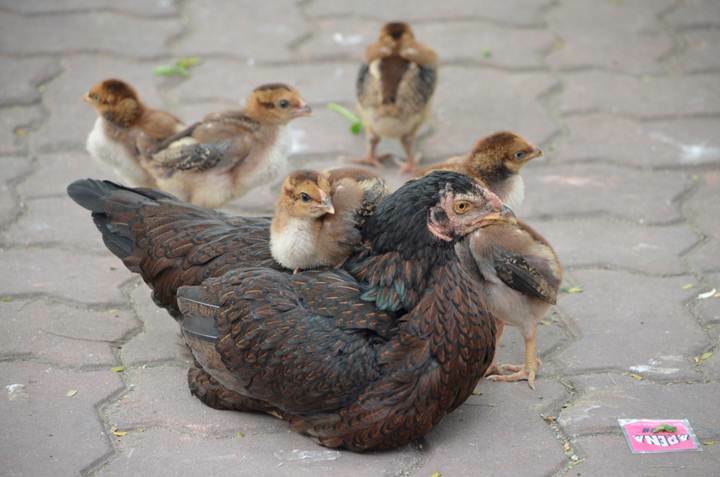 Who could possible want to kill them and eat them? What I often wonder is how people seem so happy when surely they are not making big bucks? A lot of people have so little. 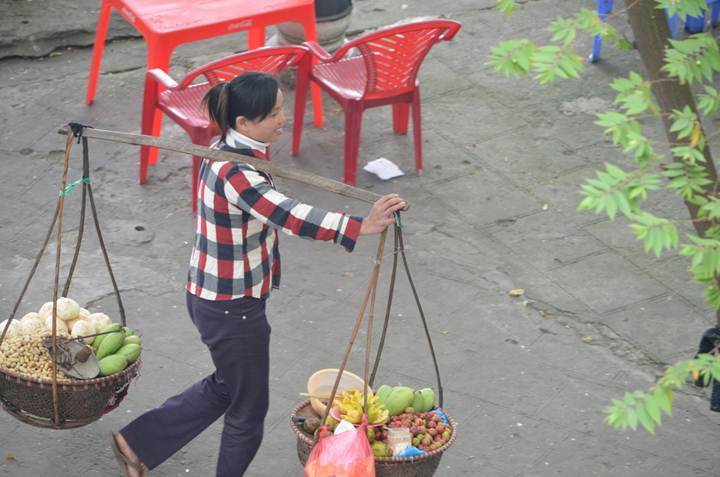 A lot of people walk around all day selling stuff from what they carry. For example I watched this woman with her fruit and nuts and she walked down our street a few times with no one buying anything. After a while she stopped and chatted with some folks for a bit then picked up her baskets and went on. She was always smiling or at least not appearing too gloomy. Of course she did not know I was tracking here with a 300 mm lens on my pricy Nikon camera from the comfort of my balcony drinking my overpriced flavoured soymilk. We have had a good stay. 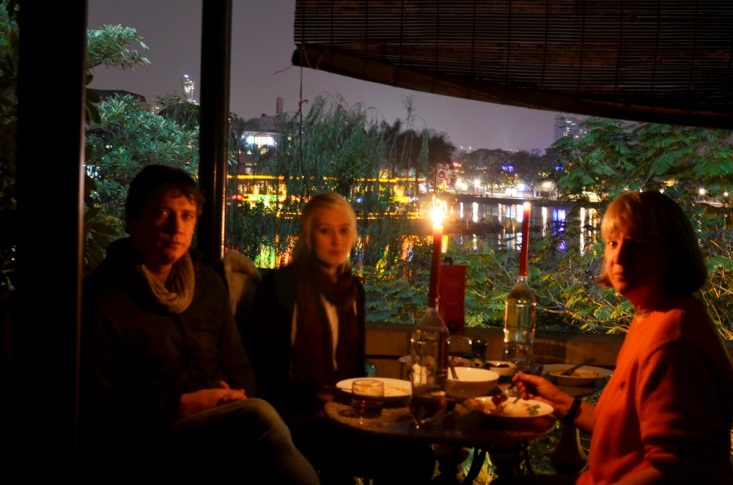 We did not go to any tourist stops this time in Hanoi, we did a lot of that last year. We just had a little living here time. Tomorrow we are off to Sapa on the overnight train for almost a week then back here for New Years a couple of days then back to cold Dalian, China to work enough to get our sorry asses to Australia in February. Life is good and if it really did end back on the 21st as so many believed it would then whatever dimension we are living in is quite good.